A quiz/lesson on schools in America. Can be used as a long warmup. Pass out the worksheet. 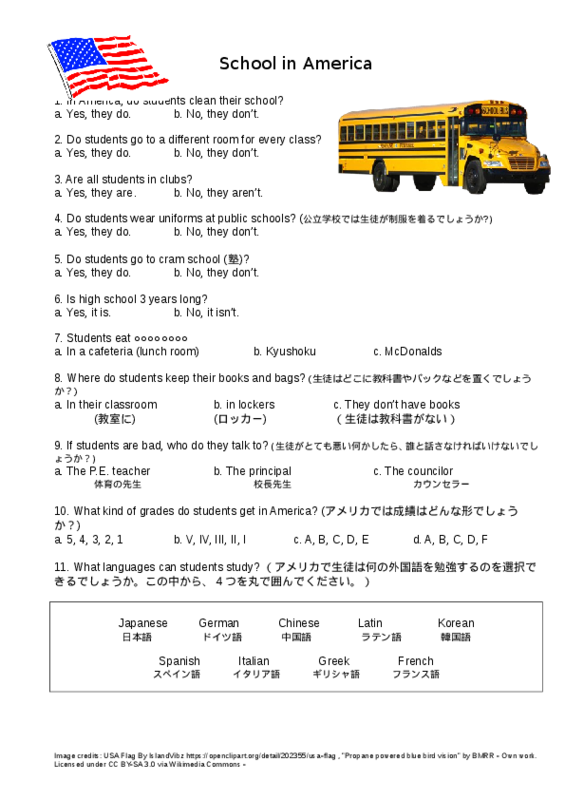 Have the students guess the answers to the questions as you read them out loud one by one. When you finish, go over the answers and maybe talk a little bit about each point. The quiz is really just a way to make a lecture about American schools more interesting.